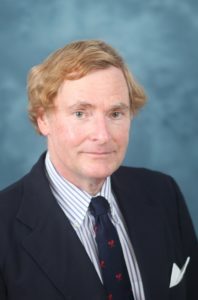 C. Alexander Moskwa, Jr., M.D. - Princeton Orthopaedic Associates, P.A. Dr. Moskwa was born and raised in New York City and completed his secondary school education at The Hill School in Pottstown, Pennsylvania in 1973. He graduated with honors from Yale University in 1977 and was selected as one of the Yale Scholars of the House. He subsequently obtained his Doctorate of Medicine from The Harvard Medical School in 1982, where he participated in numerous research projects. Dr. Moskwa completed a residency in orthopaedic surgery at the Hospital of the University of Pennsylvania where he earlier served his surgical internship. He was then selected for a one year fellowship at The Nicholas Institute of Sports Medicine and Athletic Trauma at Lenox Hill Hospital in New York City. During his tenure, he was one of the team physicians for the New York Jets professional football team. He also worked with the New York Rangers professional ice hockey team, the New York Knickerbockers professional basketball team, as well as the Joffrey Ballet. An active member of numerous professional societies including Fellowship in The American Academy of Orthopaedic Surgeons, Dr. Moskwa has written and lectured both nationally and internationally on numerous subjects in orthopaedic surgery, particularly on knee and shoulder surgery. His coauthored chapter on shoulder surgery for a major sports medicine textbook is now in its second edition and is among his many publications. He also serves as a consultant in orthopaedic surgery and sports medicine to a number of schools and organizations.